Our Fall education classes are in full swing and I’m very excited for my son and I to try our hand at ceramics in the Making Pottery Together: Haunted Houses class. From ceramics to painting to figure drawing to welding to glass fusion, we have it all and you’re bound to find something that inspires your creativity too. In our Main Gallery and Cafe Gallery, Jimmi Toro: Kindle a Light will be on view for the whole month of October. Kindle a Light is the first new exhibition since I’ve started at the Kimball and the work is unique, inspiring and thought provoking. I encourage you to come by and check it out for yourself. 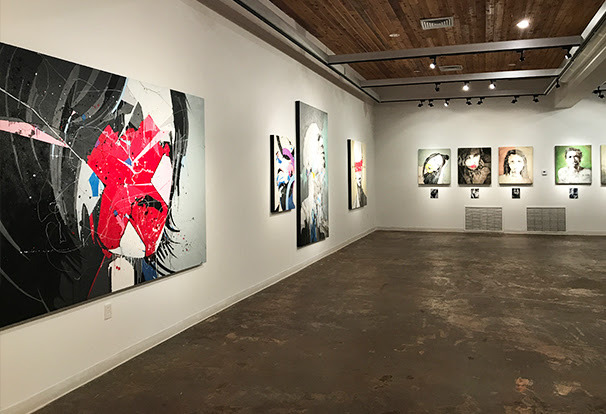 Jimmi has continually shared his knowledge and talents with our community, including working with last year’s Young Artists’ Academy class to create work that is now featured in our current show. Join us for Jimmi Toro’s free Art Talk on Thursday, October 19 where he will be discussing his evolution as an artist and leading the audience in several drawing exercises. You can RSVP below. Hope everyone has a Happy Halloween! Come by the Kimball Art Center on October 31 to see the staff’s quirky costumes and do some trick-or-treating at our Front Desk. 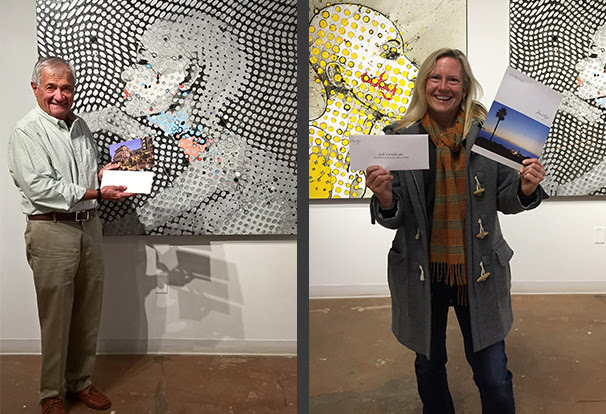 Congratulations to our Celebration of the Arts Opportunity Drawing winners, Muzz & Sibyl! We hope each of you enjoys your Montage getaway. The Kimball would like to say thank you to everyone who participated and supported the arts. Thank you to Montage Beverly Hills and Palmetto Bluffs for their generous donations. 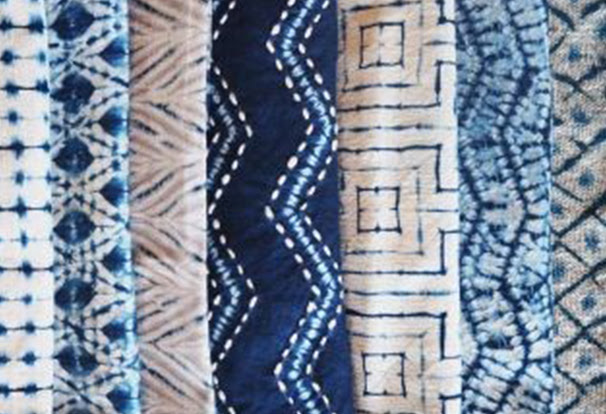 In this two day workshop, students will explore the beautiful Japanese resist dye technique called Shibori. Several different methods such as binding, stitching and folding the fabric will be used to create beautiful patterns on silk scarves with natural dyes. 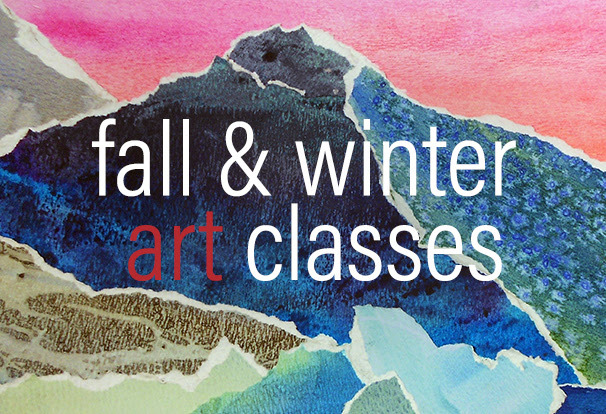 Immerse yourself or your child in painting, drawing, ceramics, mosaics, digital photography, printmaking, collage, fiber arts and more this fall and winter. We are offering our classic Kimball holiday favorites such as Fused Glass Ornaments and Gingerbread House Sculptures as well as kicking off a new partnership with Old Town Cellars. Make your creating a social activity with our 21+ Sip & Sketch. We are excited to welcome Shasta Krueger to the Kimball Art Center as our new full-time Ceramics Studio Manager. 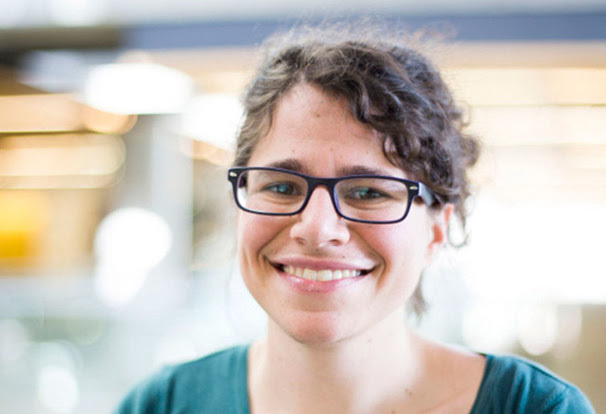 She comes to us with a wealth of artistic, teaching and managerial expertise. To learn more about Shasta's background click here. 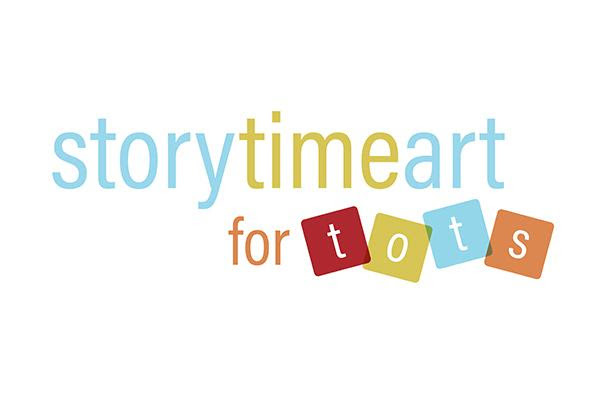 Join us at the Kimball Art Center every Thursday afternoon from 3:30 p.m. – 4:30 p.m. for Story Time Art for Tots. This free, weekly program brings art to the community and inspires young children to express their creativity. We will read a book each week and lead tots in an art project themed around the story. This is programmed for ages 3 - 5, but kids of all ages are welcome to participate. Parents stick around and join in on the fun! All tots need adult supervision during the reading and art project. 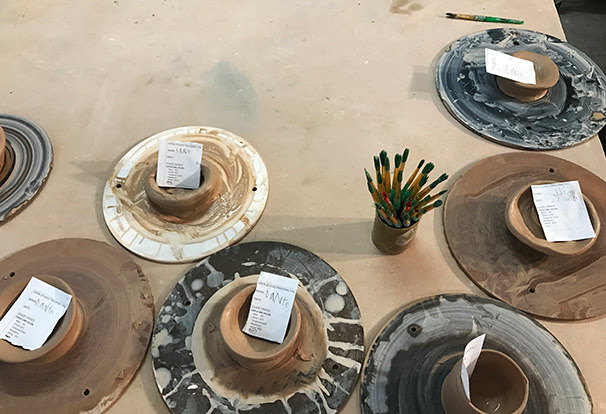 Join us in the Kimball Clay Studio on Friday afternoons to try your hand at wheel throwing or hand building. This is not a class, but Studio Staff will do a demonstration at the start of the session. $10.00 per person, capped at 6 people. 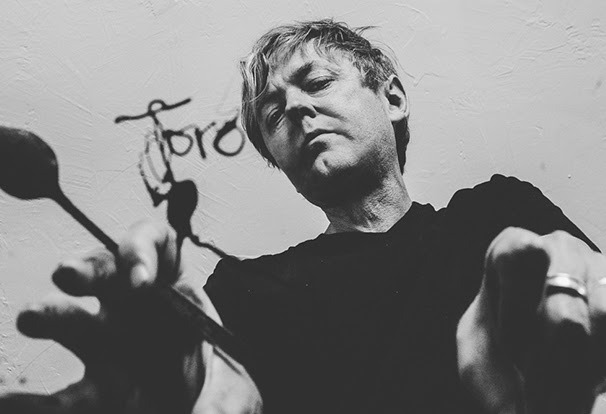 In this engaging and interactive Art Talk, artist Jimmi Toro will look at his current body of work while sharing ideas about how one can challenge skills, expand creativity and begin to focus on a style that becomes uniquely one's own. As part of the Art Talk, Toro will invite the audience to participate in some simple drawing exercises that anyone can do. One community. Many causes. Your impact. On November 10 our community will come together for Live PC Give PC, and we invite you to support the Kimball Art Center! Live PC Give PC is 24 hours of local nonprofit giving - and it’s your chance make a real difference, right here in our community. Join us in supporting our community on November 10 by donating online. Together, we can shape the future of our town. To learn more, visit livepcgivepc.org. 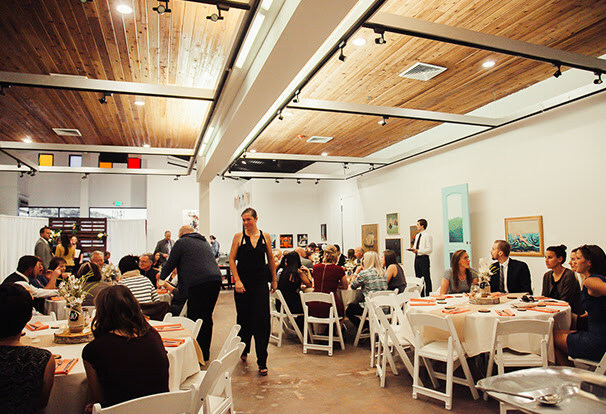 Host your next event at the Kimball Art Center. Our exhibitions are always changing and make for a one-of-a-kind backdrop to your wedding, birthday party, corporate retreat or holiday party. You can also feel good knowing your rental fee goes to support the arts in our community. "I’ve been involved in the arts my entire life and over the years I’ve tried just about everything. But I think as an artist it’s important to be prolific. It’s something I tell younger artists when I have the opportunity to speak to them. Exploration is how you learn and how you can discover something about yourself and your art. The goal of an artist is to create something that’s uniquely them and it’s a pivotal moment when you do." Read the rest of Jimmi Toro's interview with Park City Magazine here. 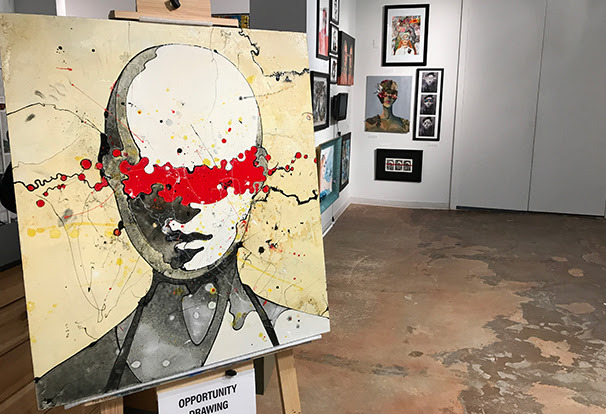 Fund the Arts & Be Entered to Win "Alena"
Each $50 donation to our opportunity drawing funds the arts and provides one entry into the drawing with the lucky winner receiving "Alena" by Jimmi Toro. Valued at $2,250. All entries must be submitted by November 28, 2017 at 11:59 p.m., MST and the winner will be announced on December 1, 2017. Stop by our Gift Shop to check out our new art-inspired inventory. 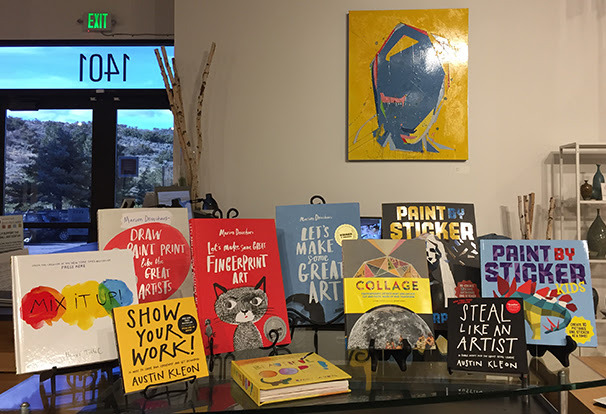 We've added several creative books, fun greeting cards, ceramic creations by Studio Member, Kai Beckett, art supplies and more! Members receive 10% off all Gift Shop items. Click here to learn more about our Membership levels and benefits.